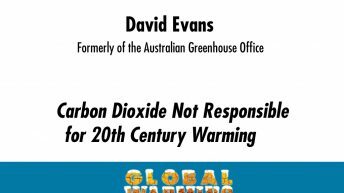 David Evans, Ph.D. worked for the Australian Greenhouse Office (now the Department of Climate Change) from 1999 to 2005, modeling Australia’s carbon in plants, debris, mulch, soils, and forestry and agricultural products. Evans is a mathematician and engineer, with six university degrees including a Ph.D. from Stanford University in electrical engineering. 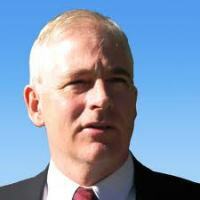 His wife, Joanne Nova, runs a major skeptic blog. 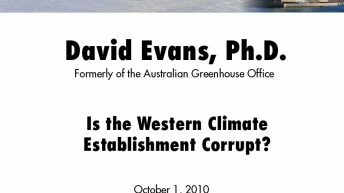 The evidence supporting the idea that carbon dioxide emissions were the main cause of global warming reversed itself from 1998 to 2006, causing Evans to move from being a warmist to a skeptic.